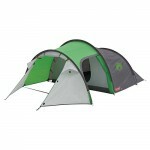 This latest version of the Outwell Wolf Lake 7 tent builds upon the already highly regarded previous models. 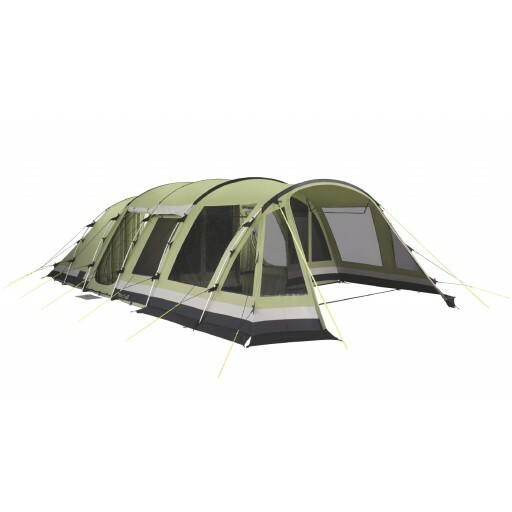 The Wolf Lake 7 – as its name suggests – sleeps seven people in a 2+3+2 bedroom formation although the existence of Outwell’s Universal inner tent system means that sections of the inner can be open up or dropped altogether to suit your requirements. The bedrooms also feature a new striped pattern fabric and wave shaped attachment points. The living area measures a very comfortable 5m x 2.5m and incorporates your own walk-in wardrobe area complete with hanging rail. 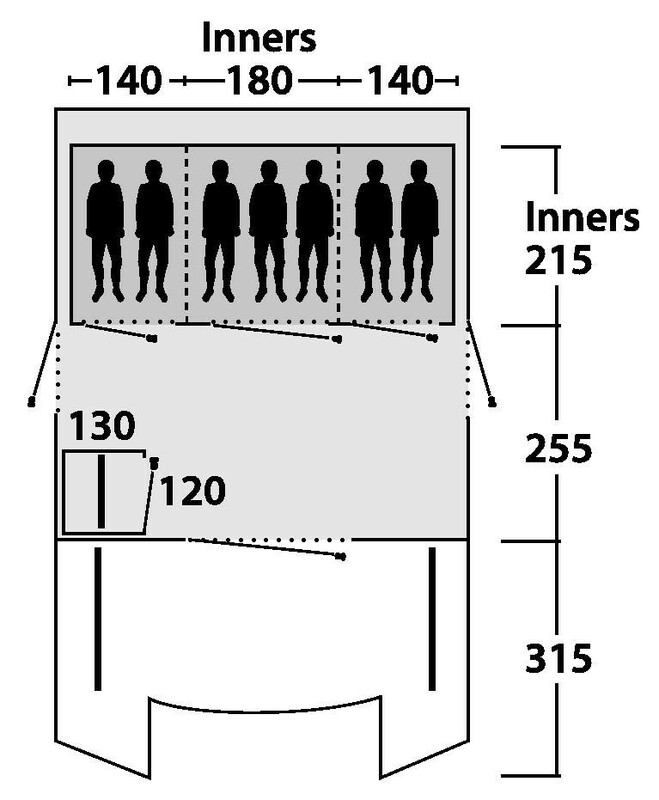 The two U-shaped side entrances to the tent lead off from the living area. These entrances have mesh double doors and roll up to the roof line. Leaving the living area via the large front entrance you step into the newly integrated porch area. This area measures over 3m x 5m and so creates another huge space for you to maybe establish you kitchen/dining area, relaxation area or just a storage area for your bikes. 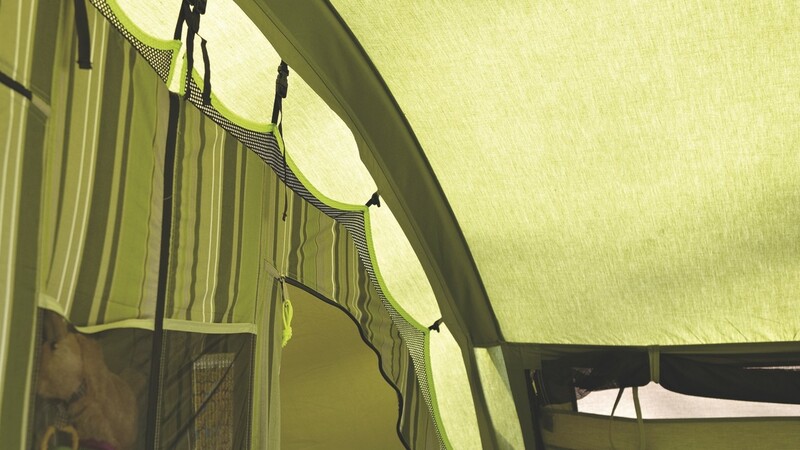 It also incorporates 2 hanging rails which are ideal for airing out towels, wet walking gear, wet suits, buoyancy aids, etc. This porch area can be turned into a fully enclosed awning by using the Wolf Lake 7 Awning Conversion Kit (purchased separately). 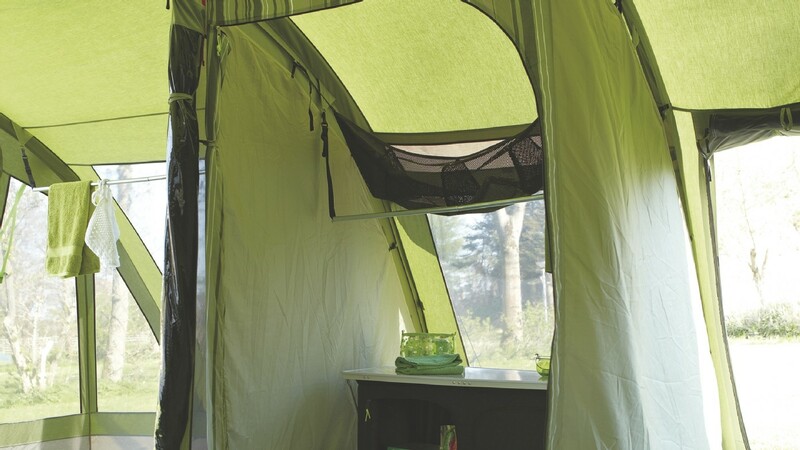 The Wolf Lake 7 is part of Outwell’s Classic range of tents all of which feature their Outtex Airtech Polycotton flysheets that provide a cooler internal climate and is inherently more breathable than polyester. 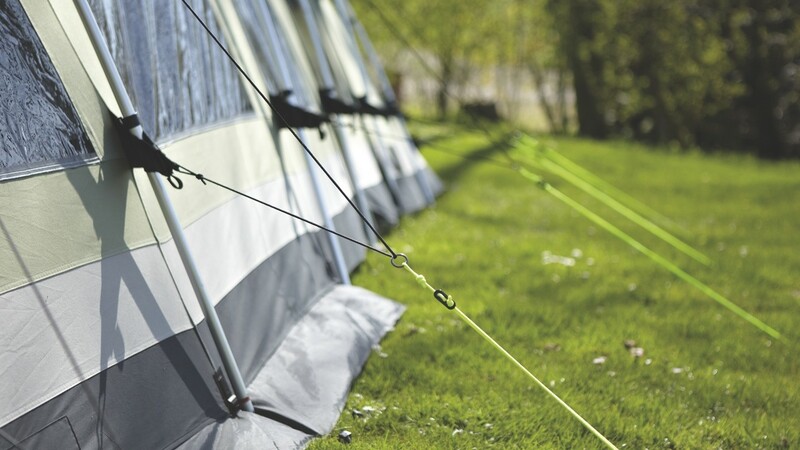 While polycotton is also heavier than polyester, the increased weight of these tents has been offset by the use of 25mm aluminium alloy poles throughout. 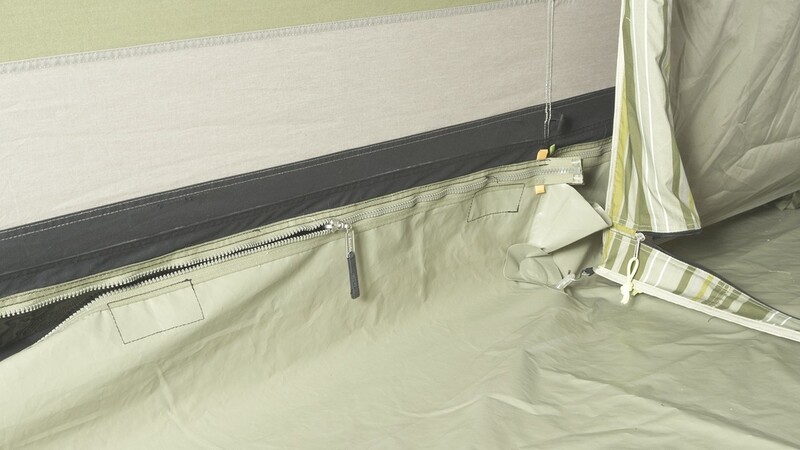 Another major new feature is the green colour-coded zip-in PVC tarpaulin groundsheets (10,000mm HH) that provide a totally enclosed environment when in use but can be completely removed and cleaned/aired when not. The revised look of the Wolf Lake 7 gives it a truly stunning appearance. 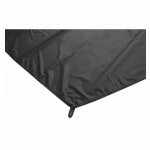 The tent now has flat poles sleeves which enable the tent to shed wind and rain more easily. 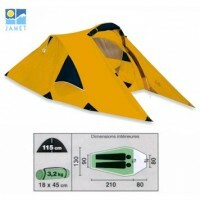 The tent also has tinted windows that restrict the view of people looking in but don’t spoil your view looking out. 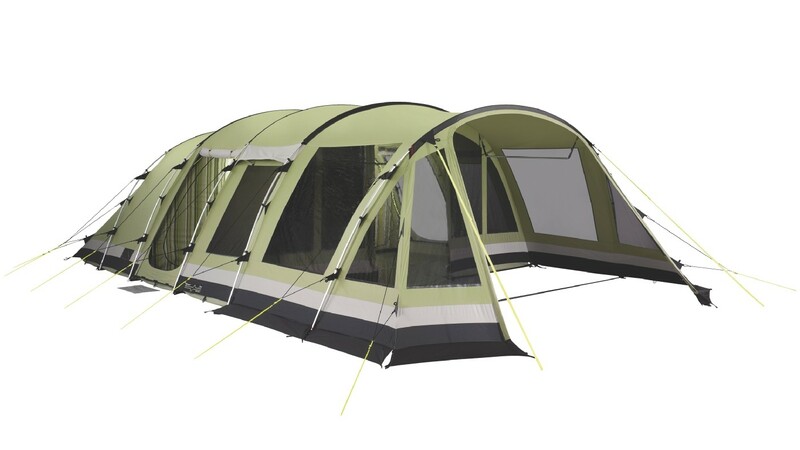 And finally the new ‘floating guy line system’ with one half of the guy line blending with the colour of the tent and the bottom half in hi-vis to reduce tripping incidents. Alloy Poles #6063 25mm dia. 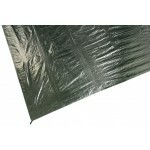 Outwell Wolf Lake 7 Tent.